Starts Sunday evening Oct 13th Ends Thursday Oct 17th. …professional Coach, Therapist, Social Worker, Yoga Teacher or woman who either dreams of leading retreats or is currently leading them but wants more training! You love the idea of learning hands on with a Master Teacher that can show you how to grow a business of offering retreats. And you love hands on learning. And you want to get a certification that will help you not only show up more confident but also get you noticed to colleagues and other around you. Then this Colorado Training is perfect for you. 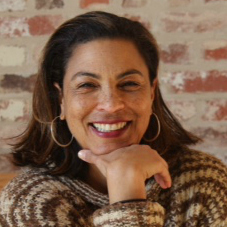 Coach Helene is Master at helping you grow your business vision. Designed to pack a lot of learning into 4 days and evenings, you can learn with me, Helene Van Manen. You will learn many more exercises and activities to facilitate on a retreat than you can by reading a book. You will also get coached on how to be a smart business woman and learn how to budget and charge what your retreats are worth. I would love you to join me for this training – you will not only learn so much, you will also experience what it feels like to be on retreat. Because you can’t lead what you don’t know. The In-Person Training is a powerful way for Retreat Leaders to get hands-on experience, learning how to lead retreats and immerse themselves into their own personal retreat experience. The training is designed for both the new or the already established retreat leader that wants to grow herself to the next level. 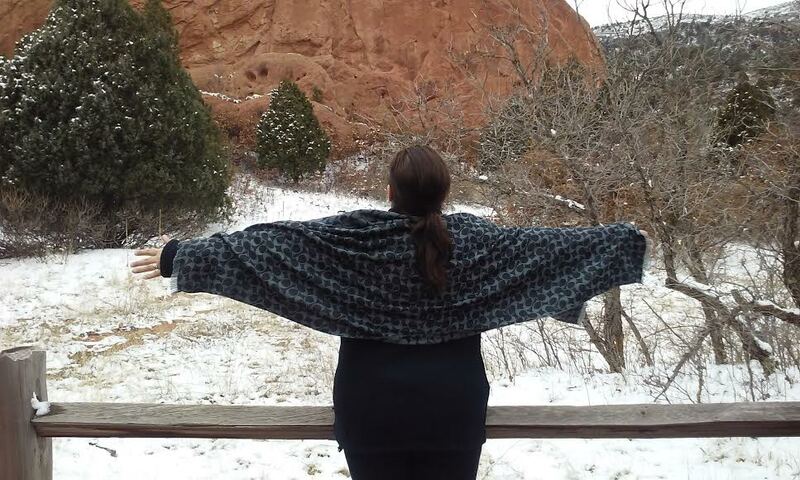 Located in the small mountain village of Manitou Springs, Colorado, you will have your own retreat experience while training to lead others. Manitou Springs has a magical flavor to it. How to identify your niche. Learn the skills you need to develop and refine the expertise you bring to your retreat leading. How to name and market your retreat. Resources galore! Plus access to on-line Student Area. The Nuts and Bolts of pricing, deposits, service providers, & cancellation policies. Learn how to organize registrations and track income. Techniques for adapting retreats to meet your market. How to market yourself/ your retreat re: social media and web presence. Custom Retreats – Virtual Retreats – Mini Retreats and more. A personal retreat experience where you will learn techniques for structuring a multi-day retreat experience as you go through each day. True hands-on learning! You’ll receive the entire 8 Week Home Study Course included in your registration price (valued at $429). This will give you hours of prep to help you learn before you arrive. And you’ll leave the training with the designation of “Certified Retreat Leader”, complete with a logo that you can use at your website and on your flyers to show to your clients your level of training and professionalism. 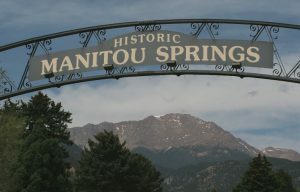 The training will take place in Manitou Springs, Colorado at the foot of Pikes Peak. 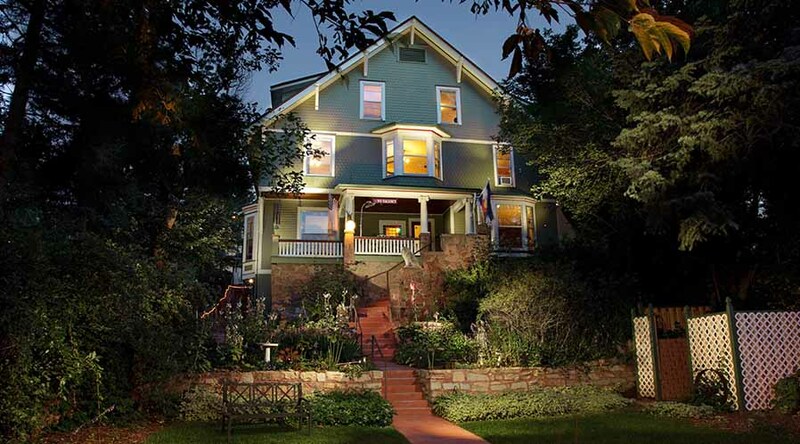 An easy 10 mile Uber trip from the Colorado Springs airport (COS), the historic Avenue Hotel Bed and Breakfast is our training base. Manitou Springs is a unique mountain town with art galleries, eateries and mineral water stations around the city streets. 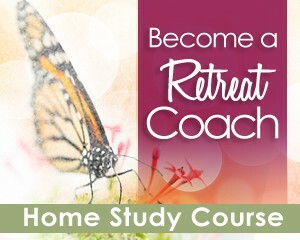 $1895 includes the full training, Become A Retreat Coach Homestudy Course, 240 page manual and many printed resources, access to the on line Retreat Coach Student Center for 12 months post training (chock full of info and resources for your support upon returning home) and your listing at the Find A Retreat Coach Directory. You’ll leave with your Certified Retreat Leader designation and access to the logo for your website, marketing, and social media promotions. Lodging – Upon confirmation of your registration, book your room directly at the Avenue Hotel & Bed and Breakfast by emailing Innkeeper Gwen at tell her your dates, that you are attending Coach Helene’s Training and your room will receive the professional discount of $115 per night plus tax. View the website to choose a room at this luxury Inn and Gwen will take your reservation by phone to secure this special rate. A full healthy breakfast is included and there is always coffee and tea available throughout the day. There is also a refrigerator that you can put snacks or food items in to meet your dietary needs. It is required that you stay on site for this training. Please note that you may share a room with a colleague but the room cost will be full price (you must plan for your own roommate). Meals– You are on your own for lunches and dinners. There are many restaurants footsteps outside the Inn and prices vary but mostly are very reasonable. Transportation– You are responsible for your transportation to and from the training location. If walking is easy for you ( there are some hills and stairs), then you won’t need a rental car when you are on training. Taxi’s and Ubers are readily available from the airport. It is recommended you fly into COS but Denver is an option. Please note that there can be unexpected weather any time of the year and the trip from Denver to Colorado Springs include difficult driving during snowstorms. 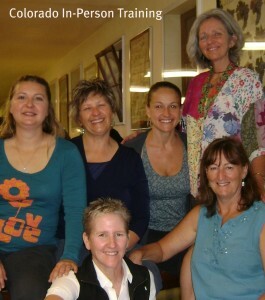 Sunwater Spa– Your only other cost is the training day we will spend at the Sunwaterspa. 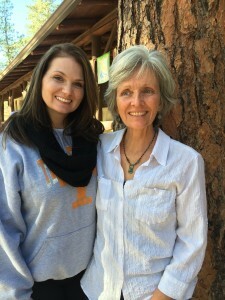 This unique retreat facility will give you a hands on experience of learning about self care and working with clients to grow their self-awareness. You will also have the chance to experience one of their many spa treatments. The cost for entrance is $25 and anything you book for yourself. Details on this will come to you upon registration. Experience a Watsu massage (water massage) with Mitzi – one of the premier water therapists in the US. This Colorado retreat setting is like no other you have visited for a training seminar. The small group atmosphere and experiential learning classes are designed for the leader who wants to creatively grow her skills while preparing herself for business success. Minimum group size 3 – Maximum 12. Whether you have a background and formal training as a coach or not, this training includes immersion into the International Coaching Federation’s Coaching Competencies and will give you a comprehensive foundation on which to build your retreat leading skills. These principles of excellence will give you a strong standard of ethics by which to run your business with. 1. Can you tell me more about the training? If you are an experiential learner and do best learning hands on, then you will benefit greatly from this training. Folded into the daily training classes are exercises that you will experience for yourself and then learn to bring back to your retreat leading. 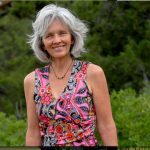 Led by Master Certified Coach Helene Van Manen and Founder of www.RetreatCoaches.com, you’ll experience a dynamic training experience learning from this master teacher. 2. How many people come? The maximum group size is 12 to ensure a higher level custom training opportunity. The minimum is 3. 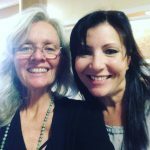 Women come from around the US and Canada and you’ll meet amazing other professional women that will become a great resource for your own learning and business. 4. When should I book my flight? After registration you will get an info packet by email. It will give you details on when the training is cleared for registration minimums so that you can go ahead and book your flight. Please wait to book until you get this notice. 3. Is there internet? Yes, wireless connections are available. Training includes learning about websites, copy, how to use images and titles to promote yourself and linking to social media to grow your business. Bring your laptop and you will have time to work on your retreat language and the guidance and support of a master business coach. 4. Weather? Colorado weather is very changeable. Wear comfortable layered clothing and good walking shoes. No need to dress up. The air is fresh and the location peaceful. The altitude is 6500ft and takes about a day to acclimate to but with lots of water most people don’t notice it. 5. Fitness level: If you have trouble with stairs or walking then check with Coach Helene. The bed and breakfast does have stairs that you will be up and down and Manitou Springs is hilly. 6. What is the training agenda? 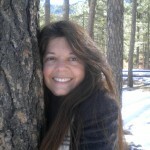 Helene Van Manen is a Master Certified Coach and a member of the International Coaching Federation. Her training began at Coach U in 1998; she graduated with the Certified Coach U Graduate status. Currently on the Faculty of Coach U, Helene is a Professional Mentor Coach that works with new Coaches in Training. 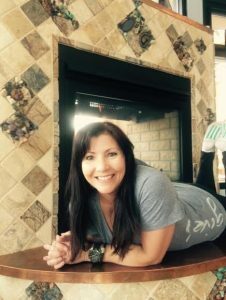 Helene also specializes in training Coaches to lead retreats and is the Founder and Director of Retreat Coaches — the premier training institute for wo(men) wishing to lead retreats. 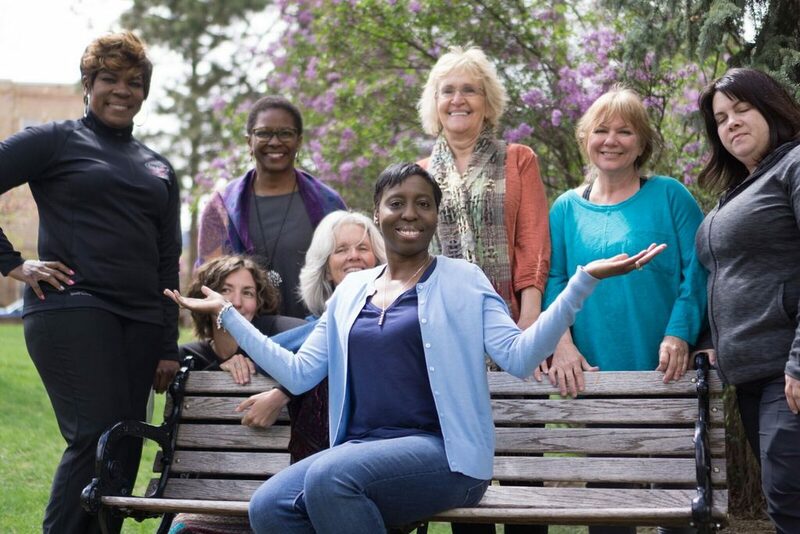 She has trained hundreds of wo(men) to lead retreats and as a result, Retreat Coaches are reaching groups all over the globe through her leadership. She is a poet, Food Activist, Grandmother, lover of Nature and values living a life of balance, joy and fun. The In-Person training is attended by women from all over the US and from a diverse tapestry of professional backgrounds. Come as you are and learn in this high level training experience. No pre-requisites required.